What Is the Difference Between Domain Authority and PageRank? Two measurements of a site are often thrown around as important metrics for your site to work on improving. One of these is the Google-created and measured PageRank. 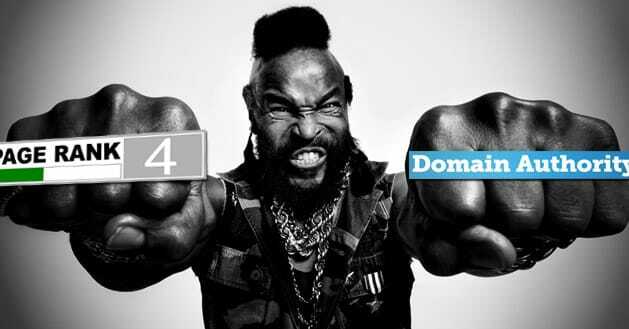 The other is the third-party Moz creation, Domain Authority. What goes into measuring these and which is important for your site? PageRank is an algorithm created by Google founder Larry Page, and named after him. It’s a simple measurement of links and link equity. Google looks at a given site and measures the number of links pointing to that site. It measures the authority of those sites as well, to prevent abuse from link farms. A site with higher quality incoming links in a higher number will have a better PageRank. For a long time, PageRank was an important metric relating to the quality of a site. It was used both by webmasters and regular users to identify if a site may be trustworthy. It was also used as a flag to set value on a site for domain resellers, though its utility in this instance has gone down. PageRank has decreased in value over the last several years. Google has slowly stopped updating PR data, so that your site can neither rise or fall in PageRank over time. These days, updates come as infrequently as twice each year, and promise to come less frequently in the future. PageRank is still valuable as part of Google’s internal algorithm but it is not a valuable public metric any longer. Domain Authority can be found through a number of different SEO tools, most notably the MozBar or the site Open Site Explorer. • The number and quality of incoming links. Who links to you and how many people do it how frequently? This can be improved by gaining backlinks from a wide variety of authoritative sources. • The number and quality of outgoing links. Who do you consider worth linking to? Do you have too many links for your content? Do you link to authority sites or known spam domains? • Domain registration information. Do you own 10, 20, 30 domains? Domain Authority monitors domains linked with the same information. If one of those sites becomes a spammy or black hat site, other sites owned by that person can be demoted. • Domain age. Older domains have had time to establish more trust, so they can rank a little higher in Domain Authority. Many sites never last past their first anniversary. This metric can’t really be affected externally, short of buying an old, established domain. • Link diversity. It’s better in general to have a smaller number of links from a wider array of valuable sites than it is to have a large number of incoming links from a small handful of sites. • PageRank. Yes, Moz uses Google’s PageRank as part of the Domain Authority calculation. This means by default that Domain Authority is a wider, more accurate measurement of a site. • Temporal distribution. That is, the distribution of content and traffic over time. A site that has a sudden spike in traffic on a particular piece of content may have experienced that content going viral, or it may have purchased traffic from a third party site. • Value distribution. On a site with 100 pages, how many of them are widely considered valuable? A site with 75 out of 100 pages of moderate value – as measured by incoming links and traffic – will fare better than a site with only 10 of 100 pages experiencing links and traffic. • Traffic metrics, including number of returning visitors, number of pageviews per visitor, time spent on the page and the user bounce rate. All of these can be increase with engagement. • Hardware and software metrics, including server response times, broken links, code errors and uptime. There are a number of other DA metrics as well, making the Moz measurement nearly as complex as Google’s algorithm itself. There are a few key differences between these two ranking systems. • Domain Authority is actively used, while PageRank has fallen in utility. 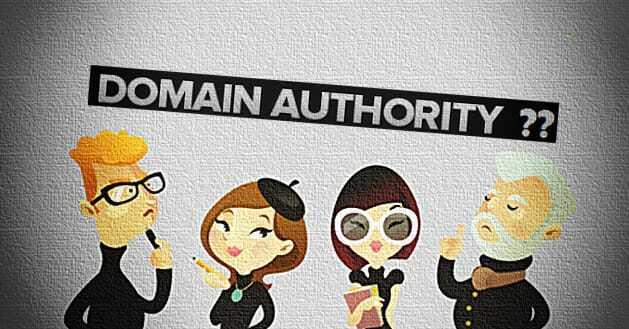 • Domain Authority is closely related to Page Authority, which measures individual pages. PageRank only covers the overall site. • PageRank is calculated by Google itself, while DA is a third party calculation. • PageRank is not a direct influencer of your SERP ranking, while DA can be used to measure that relationship. • PR is limited to measuring the influence of links, while DA includes a wider range of metrics. • DA updates several times each month, while PR does not. • PR is measured on a scale of 0 to 10, while DA is measured on a scale of 0 to 100, making DA more accurate for similar sites. • DA is being improved over the months as Moz refines the algorithm powering it, while PR is decreasing in value as Google shelves it. Domain Authority is affected by many of the same things that affect your SERPs position and your user engagement, which makes sense. DA is a measurement of your SEO, popularity and engagement. Better metrics all around will increase your Domain Authority. Keep in mind, also, that Moz offers the same calculation on a page level as well. Where DA and PR only work on the site itself, going by the domain, Page Authority works on the individual page. This can be a good way to analyze the breadth of your site. 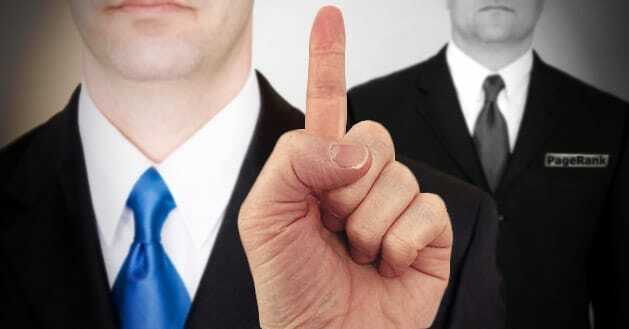 Which pages have low authority and are keeping your ranking down? Which pages have high authority and what are they doing right? When you analyze your site in this light, you can see even more value in the metric. The bottom line is that Domain Authority is a more active, up to date metric that ranks a site in a more granular way. A higher DA is better than a higher PR, particularly now that Google is pulling back on its investment in PR.